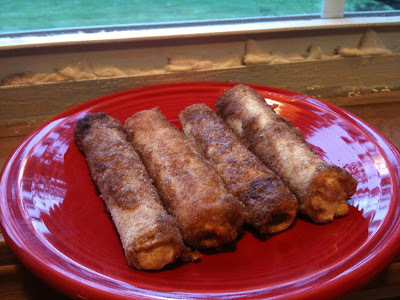 These cinnamon toast roll ups are sweet and tasty right from your freezer. Not only are they quick and easy but they make your kitchen smell divine! 1. Beat cream cheese, egg yolk and 1/4 cup of sugar until smooth. 5. Mix 3/4 cup of sugar with cinnamon in a shallow dish. Place melted butter in a shallow dish. Sarah, I just found this blog and am SOOO loving your inexpensive recipes! I love your cook ahead ideas and the cost savings, and the recipes look like ones even I can handle! Thanks for the ideas!